Getting the Most Out of Your Salad! 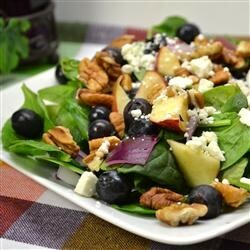 Everybody sees salads as the healthy option at the dining hall or on a restaurant menu. But not all salads are created equal! Some provide more antioxidants, vitamins and minerals, and keep you fuller for longer! While others start to lose their value by being drenched in cheese, croutons, and high fat dressings. It all depends what you put in that salad! 1) Starting with the most important base ingredient, the type of leafy green vegetable. Darker greens like spinach and romaine provide more health benefits then lighter greens like romaine lettuce. Spinach and collard greens contain beta-carotene that is converted into Vitamin A, and helps repair skin tissues. Kale and collard greens contain lots of calcium and potassium. And all the leafy greens have antioxidants like vitamin C that keep your skin and hair healthy. A spring mix, or a combination of lighter and darker lettuces can be a good compromise. 2) To get those daily servings of vegetables, load on the carrots, pees, tomato, corn, broccoli, sliced cucumber, onion s, sliced pepper, and anything else you can think of. Pick produce from a variety of colors for the greatest health benefits. 3) Add protein to turn the salad into a meal that keeps you fuller for longer! Some healthy proteins include non-fried skinless chicken or turkey breast, and fish such as salmon. Choose leaner options. Some healthy vegetarian proteins are cubed tofu, legumes, and beans, such as black beans, chick peas, and kidney beans. Beans and legumes are low in the bad type of fat, saturated fat, and high in fiber. 4) Add on healthy fats like nuts, seeds, and avocado. Chopped walnuts, sliced almonds, and sunflower seeds are packed with healthy monounsaturated fats and with their high fiber content they will keep you full. Many nuts are also rich in omega-3 fatty acids, and vitamin E, making them good for your heart! And avocados also contain healthy monounsaturated and polyunsaturated fat, and have been shown to lower “bad” cholesterol levels, and risk for heart disease. 5) Be careful with your extra toppings, picking options like dried cranberries and raisins, instead of blue cheese and bacon. Sliced apple, sliced pear, and blueberries and strawberries make great toppings, while helping you get more servings of fruit in your day! 6) The dressing is where many salads start to go downhill, with options like caeser and ranch adding over 70 calories per tablespoon. Go for low and non-fat options; make sure to also check for other culprits in store bought dressings like high levels of sodium and sugar. Try using healthier oils like olive oil and canola oil, and buy oil-based vinaigrettes with a short list of recognizable ingredients. You can even use hummus or avocado as a dressing with their creamy texture. -Whisk together (with either a whisk or a fork) a little bit of vinegar and mustard. 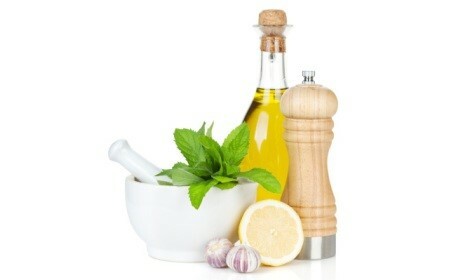 -Then add any type of oil, like olive oil, use double the amount of oil as you used vinegar. So it you used one tablespoon of vinegar, use two tablespoons of olive oil. -You can also add lemon, pepper, or herbs like thyme or basil. And pour on to your salad!